Snowpiercer is set in a post-apocalyptic world, where the earth has been engulfed in ice, and the only remnants of the human race is living inside a self-sufficient train. Director Bong Joon-ho immediately throws us into the conflict, where the residents of the back carts decide that they had enough of the treatment by the residents of the front train, and decided to stage a coup to take control of the train. After the consistent failed attempts of Johnny Depp outside the Pirates franchise, I have come not to expect much from the movies of the actor. Right now, I'm willing to hope that this is an exception. The movie looks like something I would consider watching, and with its comic tone, I would expect the actor to be a bit loose, like Jack Sparrow-loose. He's still a bit stiff here, but who knows, maybe it will work. As I sit here and try to rummage through my mind for words, I come up with none. Not because there's nothing to say, but rather, every word seems to be swirling around that I risk writing an incoherent review about it. Nonetheless, I was very impressed with Pulp Fiction, and how a film like this could still be impressive years after its release. If I didn't know this was released back in 1994, I would have thought that it was released recently. Maybe it's because the writing style of Tarantino could still be applied today, that it still moves with the time. Besides the iconic scenes, it was the script, and the manner the film is presented, that makes it all worth while to see. It took me a long time to finish my list because I honestly didn't know where to start. It took me a long time to finish my list because I didn't know where to start. I think I've pulled out five movies that basically comprises the general tone of my personal guilty pleasure movies. I first read about the meme through Dell on Movies, and I've been meaning to join it for quite some time! It's hosted by Wandering through the Shelves, another blog that I'm recently frequenting. 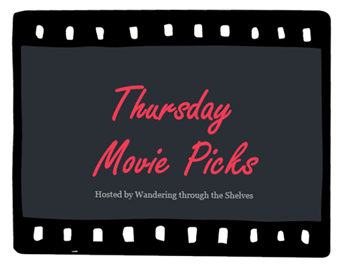 Each week there's a theme, where you get to pick three movies surrounding said theme. For this week, it's about time travel. The first movie I initially thought of was Back to the Future (it seems like the predominant choice when it comes to time travel movies), so I decided not to use it for my list. Below are three of my picks for this week's theme! Wes Anderson has become one of my favorite directors since I saw The Royal Tenenbaums. The quirky stories coupled with his filming style, the man's filmography has won me over. He enjoys working with the same people, and producing some of his best work with them. He may not be as prominent as some of the directors in the industry, but he sure knows how to hit a note. I recently finished watching all his feature films and listed down his works in accordance with my preference. His short films are not included in the list, and it's arranged from least to most preferred. Daniel Radcliffe has been getting some interesting roles. He doesn't tend to stick to one genre, but really explores his options. I haven't seen much of his work post-Potter, but this one looks so intriguing that I just might see it. Plus it also stars Juno Temple, who I think is one of the underrated actresses working in the industry. I just hope the film is as captivating as the trailer makes it appear to be. For someone who has watched The Dark Knight and The Dark Knight Rises, it's somewhat an embarrassment that I didn't start the trilogy with this installation. After all, it does give explanations to parts of the succeeding films, and build a strong, solid background as to where Batman really began. While everyone's been raving about the succeeding films, this one didn't get as much rave. It's a gem, actually. I think it lacked the marketing, at least where I'm from, as it came hand in hand with a Tom Cruise flick. This is a good origin story, and it does build up the story of the succeeding films. Gerard Butler has come back to life! Well, he hasn't been gone, but it's been a while since I last saw a good flick of his. Arguably, the use of the word 'good' merits some explanation. Olympus Has Fallen is one of those movies where it doesn't bring anything new to the genre.I didn't expect anything from this except for all the action sequences. It has a lot of cliches, and those last minute moments where it seems like there is no hope? It's all there. It was made to entertain, preferably with all the fighting and explosives a movie can bring in. If you're up for a relaxing afternoon, this would be a movie to watch. Keira Knightley strikes again! I wasn't a fan of her participation in Jack Ryan: Shadow Recruit, but she completely blew me away in Begin Again. Now I hope that Laggies is equally charming, if not quirky. I'm definitely a fan of Knightley's work, and I'm a big fan of Sam Rockwell as well - the man doesn't get the recognition he deserves, but he's been putting in good work. The trailer doesn't really do much, but the presence of Knightley and Rockwell are enough for me to see this movie. So, after spanning two decent Batman movies, the franchise took a turn when the torch was handed over to Joel Schumacher, whose rendition of the masked crusader has got to be the worst installments I have seen. In a few words: it was messy, sloppy, and outrageous. How this garnered a sequel from the same director, I would never know. Why is Christian Bale the only decent-looking person here (read: what is with Joel Edgerton's eye make up)? Regardless of that, this looks like a big epic film. The recent Ridley Scott film I saw was Prometheus (haven't caught up with The Counselor yet), and while that was visually stunning, I hope this has more content. The account itself of Moses has a lot of potential to become quite an epic film, so I really hope this delivers. The studio seems to have a lot of faith in this one (as it didn't quite battle out Noah in terms of release), but I might just catch it when it comes on DVD. Being a teacher takes a lot of responsibility. Parents expect teachers to educate their children in matters that they themselves cannot teach. Teachers are society's hope in molding children to become better members of society. We are expected to learn from them, and it is through teachings that we are able to find our strengths and weaknesses as students. But what if your teacher was Elizabeth Halsey? 7/14: Light Kisses from the Breeze, I Stood Wondering. How did July treat everybody? Whether you've been basking under the sun, or running from the rain, or trying to stay warm, I hope you had a great month! This post would not be as updated as the previous monthly recap, as I've had this on queue before I left for vacation. Still, I think I managed to have watched a few new to me films, and tackled some of my reading material. I announced last month about my reading project, and it might have took some time to have it up, but here is it : Project 52: A Year in Books. I'll be updating the page as the year goes, but feel free to suggest some reading material. So, on with the (sort of) recap!